The Central Bank of the Islamic Republic of Iran (CBI; Persian: بانک مرکزی جمهوری اسلامی ايران‎‎, aka Bank Markazi-ye Jomhuri-ye Eslāmi-ye Irān) is the central bank of Iran. It is entirely government owned. Among its major purposes are: maintenance of the value of the national currency (rial), balance of payments as well as facilitating trade transactions and contributing to the economic advancement of the country. The Central bank is in charge of laying and implementing monetary and credit policies of the country. The importation of goods, issuance of documentary credits and registration of orders for documentary bills of exchange for imports are also done in accordance with the policies of the Central Bank. It is a member central bank of the Asian Clearing Union. The first attempt at introducing paper currency in Iran occurred during the Mongol Ilkhanate of the 13th century CE. The innovation, developed in Song Dynasty China, did not take hold in Iran, and paper currency did not return to Iran in any significant manner for several centuries. In modern banking, the British first opened the Imperial Bank of Persia in 1889, with offices in all major cities of Persia and India. It was established in 1885 with a concession from the government of Persia to Baron Julius De Reuter, under a Royal charter from Queen Victoria. To compete with the British bank, Imperial Russia also opened the Russian Loan and Development Bank. The first state owned Iranian bank, Bank Melli Iran was established in 1927 by the government of Iran. The bank's primary objective was to facilitate government's financial transactions and to print and distribute the Iranian currency (rial and toman). For more than 33 years, Bank Melli Iran was acting as the central bank of Iran with the responsibility to maintain the value of Iranian rial. In August 1960, the Iranian government established the Central Bank of Iran (CBI) and separated all central banking responsibilities from Bank Melli Iran and assigned it to the newly formed central bank. 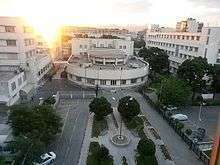 The Central Bank of Iran was renamed to "the Central Bank of the Islamic Republic of Iran" immediately after the Islamic revolution in 1979 and the overthrow of the Shah of Iran. Scope and responsibilities of the Central Bank of the Islamic Republic of Iran (CBI) have been defined in the Monetary and Banking Law of Iran. Iran’s banking system adhered to the new Islamic rules that prohibit earning or paying interest. CBI maintains a museum of historic and ancient jewelry owned and used by the ex-kings of Persia. This museum houses the Imperial Crown Jewels and is one of the most appealing tourist attractions in Iran. The Money and Credit Council (MCC) is the highest banking policy-making body of Bank Markazi. Its permanent members include the CBI Governor, the Finance and Economy Minister, two Ministers chosen by the Cabinet, The Head of the Chamber of Commerce, the General Prosecutor and two lawmakers (MPs). Each year, after approval of the government’s annual budget, the CBI presents a detailed monetary and credit policy to the MCC for approval. Thereafter, major elements of these policies are incorporated in the five-year economic development plan. MCC meets every three months. In practice, the ability of the banking system to create money is not much constrained by the amount of scriptural money through fractional reserve banking. Indeed most banks first extend credit and look for reserves later. The Iranian Central Bank needs more independence from the government in order to combat inflation, according to the country’s Parliament Research Center. As of 2010, Iran’s Central Bank, is not able to conduct a “proactive” monetary policy (e.g. it needs Majlis' approval before issuing participation bonds) and has no control over the government’s fiscal policy. The current combination of the Central Bank's board of directors are the President, Economy and Commerce Ministers, Deputy-President for strategic planning, and a Minister selected by the Cabinet. Seven economists with at least 15 years of work experience were to become members of the general assembly according to a new law proposed by the Majlis in 2010, thus moving this body from being state-dominated to one where the private sector has greater say in the decision making process. Tenure of each member would be for 10 years and only for one term. Then President Mahmoud Ahmadinejad critiqued this proposal and said that it is important for the Central Bank of Iran not to fall under private control "because it would not benefit the Iranian people" over the long run. After the Islamic Revolution, the Central Bank was mandated to establish an Islamic banking law. In 1983 the Islamic Banking law of Iran was passed by Majlis. This law describes and authorizes an Iranian Shiite version of Islamic commercial laws (as differentiated from a less 'liberal' Sunni version). According to this law, Iranian banks can only engage in interest-free Islamic transactions (as interest is considered usury or "riba" and is forbidden by Islam and the holy book of Qur’an). These are commercial transactions that involve exchange of goods and services in return for a share of the "provisional profit" called Mobadala. Gharzolhasaneh: An interest-free, non-profit, loan extended by a bank to a real or legal person for a definite period of time. Joalah: The undertaking by one party (the jael, Bank or employer) to pay a specified money (the joal) to another party in return for rendering a specified service in accordance with the terms of the contract. The party rendering the service shall be called "Amel" (the Agent or Contractor). 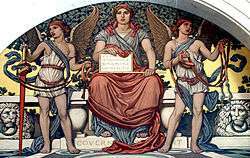 Mosaqat: A contract between the owner of an orchard or garden with another party (the Amel or Agent) for the purpose of gathering the harvest of the orchard or garden and dividing it, in a specified ratio, between the two parties . The harvest can be fruit, leaves, flowers, etc. of the plants in the orchard or garden . Mozaraah: A contract where the bank (the Mozare) turns over a specified plot of land for a specified period of time to another party (the Amel or Agent) for the purpose of farming the land and dividing the harvest between the two parties at a specified ratio. Mozarebe: A contract wherein the bank undertakes to provide the cash capital and other party (the Amel or Avent) undertakes to use the capital for commercial purposes and divide the profit at a specified ratio between the two parties at the end of the term of the contract. Shariah-compliant assets has reached about $400 billion throughout the world, according to Standard & Poor’s Ratings Services, and the potential market is $4 trillion. Iran, Saudi Arabia and Malaysia are at the top with the biggest sharia-compliant assets. According to the IMF, Islamic banking forbids pure monetary speculation and stresses that deals should be based on real economic activity and therefore poses less risk than conventional banking to the stability of financial systems. Critics believe that the Iranian Interest-Free banking law has simply created the context for legitimizing usury or riba. In reality all banks are charging their borrowers a fixed pre-set amount at a rate of interest that is approved by the Central Bank at least once a year. No goods or services are exchanged as part of these contracts and banks rarely assume any Commercial Risk. High value collateral items such as real estate, commercial paper, bank guarantees and machinery eliminate any risk of loss. In case of defaults or bankruptcies, the principal amount, the expected interest and the late fees are collected through possession and or sale of secured collaterals. As of 2015, Iranian consumers have little debt. Iran does not have any special credit rating institute for customer’s credibility rating but all Iranian banks obligated to send statistics of bounced check to central bank of Iran. However follow up on bounced checks are a difficult task. In 2010, "Iran Credit Rating Consulting Company" became Iran's first credit agency by decree of the CBI. In 2005, the government obliged the Central Bank of Iran and the Iranian banks, mostly state owned, to set up all the necessary infrastructures (regulatory, hardware, software) for fully launching e-money in Iran by March 2005. While this plan has not yet fully materialized, local debit cards are now commonplace and have removed the main obstacle to the growth of e-commerce (in the national scale) as well as the full roll out of e-government initiatives. Iran remains largely a cash-based economy. The Central Bank has developed the Real Time Gross Settlement System (SATNA) as the main center for settlement of Iranian banks' transactions in rial. Upon implementation of the first and second phases of this system in 2006/07, real time settlement through the interbank information transfer network (Shetab Banking System) and interbank clearing house was started in the review year. Since 2007/08, bank-to-bank and customer-to-customer payments were also settled through SATNA. The Retail Funds Transfer System (SAHAB), launched at end-2006/07 for real time transfer of a large volume of payments of relatively small value, was further developed in 2007/08. Moreover, there are further plans to connect Iran's SHETAB to information transfer networks of other countries. In 2011 2 new payment systems were launched: Scripless Securities Settlement System (TABA) as the electronic infrastructure for placement and settlement of various securities, including governmental and CBI participation papers. The launching of the automated clearing house system (PAYA) for processing individual and multiple payment orders, connection of Iran's Interbank Information Transfer Network (SHETAB) to other ATM and POS switch systems for the acceptance of international bank cards, designing of the electronic card payment system (SHAPARAK) for the centralization and reorganization of POSs. As of January 21, 2010 account holders will no longer be allowed to withdraw more than $15,000 from Iranian banks but they can still write checks for larger amounts. The government wants people to use bank checks and electronic banking systems instead of cash transactions. 10.7% of cheques written in 2009 bounced. In 2007, Tetra-Tech IT Company announced that using Visa and MasterCard is now possible for online sales and in Iranian e-card terminals at shopping malls, hotels, restaurants, and travel agencies for Iranians and foreign tourists. Iran's electronic commerce will reach 10 trillion rials ($1 billion) by March 2009. Some wealthier people have debit cards, but there is no MasterCard, Visa or American Express in Iran and few foreign banks are active there because of international sanctions. Around 94% of Iranians had a debit card, compared with less than 20% in Egypt (2015). In 2016, Iran introduced its own domestic credit card system based on Sukuk principles and reported talks with Mastercard (and other international payment operators) for a re-entry. Many Iranian businesses and individuals also rely on hawala, an informal trust-based money transfer system that exists in the Middle East and other Muslim countries. Since the imposition of recent U.S. and UN financial sanctions on Iran, the use of hawala by Iranians reportedly has increased. The Central Bank of Iran is enforcing the newly-passed Anti-Money Laundering law to curb possible crime. The minister of intelligence, the governor of the Central Bank of Iran (CBI) and several other ministers are among the members of the special committee in charge of the campaign against money laundering. In 2008, the Paris-based Financial Action Task Force (FATF) Watchdog praised the Islamic Republic's crackdown on money laundering. The 34-member financial watchdog congratulated Tehran on its commitment to seal money laundering loopholes. However, in 2010, FATF, named Ecuador and Iran on a list of states that it says are failing to comply with international regulations against money laundering and financing terrorism. It has been estimated by the government of Iran in 2015 that dirty money from drug trafficking in Iran amounts to 10 trillion toumans a year (1 touman equals 10 rials), some of which has been finding its way into "elections and the securing of votes" to influence the country's politics. As of 2010, major economic indicators will no longer be announced by the Central Bank but will instead be reported by the Statistical Center of Iran. The Government of Iran projects GDP growth to average 8% between 2010 and 2015 in its 5-year economic development plan. 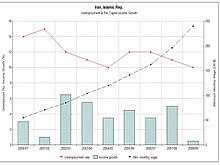 According to Business Monitor International (BMI) in 2010, growth will average 3.6% between 2009/2010 and 2013/2014. This is substantially below an estimated 5.6% for previous 5 years. The International Monetary Fund (IMF) forecasts Iran's economy will grow 1.6% in 2010 and 0% in 2011, from 1.1% in 2009 and 1% in 2008 and 7.8% in 2007. Through the successful implementation of the Iranian Economic Reform Plan (targeted energy subsidy plan in particular), the IMF predicts Iran's economy to grow at a rate of 8% by 2014/2015. Projections by the Economist in 2010 place Iran's nominal GDP at $701.9 billion in 2013. 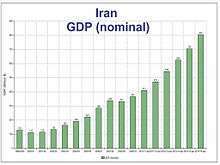 The Economist's 2010-revised projections for GDP growth in Iran are: 3.0% (2010); 3.0% (2011); 2.9% (2012); 3.1% (2013); 2.9% (2014); 2.9% (2015). Money supply: The International Monetary Fund reports that in 2001, currency and demand deposits—an aggregate commonly known as M1—were equal to $71.7 billion. In that same year, M2—an aggregate equal to M1 plus savings deposits, small time deposits, and money market mutual funds—was $153.6 billion. According to the CBI, the country's liquidity amounted to some $174 billion by April 2008, $197 billion by October 2009. and over $300 billion in 2011. Estimates put the amount of capital floating in Iran's market at $254 billion in 2012. Inflation: According to the Central Bank of Iran, inflation rate was 13.5% in 2009 and 25.6% in 2008. Commercial banks' lending rate: 12.0% (2007), 11.5% (2008), 12.0% (2009). Free market rate is 24-25 percent (Aug 2009). US dollar/Iranian rial historical official & free market exchange rates (2000-2014). note: Iran has been using a managed floating exchange rate regime since unifying multiple exchange rates in March 2002. Iran devalued its currency in July 2013. Debt: The government's and banks' debts to the central bank dropped from 905,926 billion rials (about 90 billion dollars) in November 2008 to about 776,486 billion rials (about 77 billion dollars) in November 2009. According to CBI reports, the value of its assets fell by 11.6 percent during the last 12 months to 1,137,455 rials in November 2009. Meanwhile, the total debt of 11 state-run banks alone to the Central Bank of Iran has exceeded $32 billion in 2009, showing a ten-fold increase over the past four years. Bank Melli Iran, with nearly $9 billion, had the biggest debt followed by Bank Sepah, Iran's oldest, with about $4.8 billion. Bank Maskan, Keshavarzi Bank, Bank of Industry and Mines and the Export Development Bank of Iran were next with the respective debts of $4.7, $4.1, $3.5 and $1.1 billion. Private-sector banks had much lower debts. Bank Parsian, the largest private-run bank, owed about $421 million to the Central Bank. In addition, the collective debt of state-sector companies to the Central Bank has reached $25 billion (2009). Overdue loans: According to unofficial figures, overdue loans have reached IR 175,000 billion ($17.8 billion, €13.6 billion, £11 billion), an increase of 75 per cent over three years (November 2008). Plan to inject about $13 billion to recapitalize the banking sector (2008) Ninety individuals have managed to secure collective facilities totaling $8 billion from Iranian banks, with previous $27 billion unpaid loans (2009). In October 2009, Iran's General Inspection Office informed that Iranian banks have some USD 38 billion of delinquent loans, while they are only capitalized at USD 20 billion. Current average for late debts of Iran's state banks is over 15 percent while the global standard is 3 to 5 percent. Reserves of foreign exchange and gold: $40 billion (2005) to $80 billion (2008) to $100 billion (2010) because of a sharp increase in the price of oil (and non-oil exports). Iran's foreign currency and gold reserves amounted to $110bln in 2011. In 2007, 10% of the reserves were held in gold, 20% in US dollars (down from 40% in 2006), the rest mostly in Euro and other major currencies (i.e., Yen, British Pound and the Swiss Franc). In 2009, Iran's President Mahmoud Ahmadinejad ordered the replacement of the US dollar by the euro in the country's foreign exchange accounts because "it would help decouple Iran from the US banking system." In January 2012, the head of Tehran's Chamber of Commerce reported that Iran had 907 tons of gold, purchased at an average of $600 per ounce and worth $54 billion at today's price. The CBI governor however reports only 500 tons (i.e. above ground gold reserves). The discrepancy is unexplained but the 907 tons could (mistakenly) include below-ground gold reserves (320 metric tons as of 2012) and possibly the gold in Iranian private hands (~100 tons in coins, jewelry or bullion). In 2014, reports from the Central Bank put its gold stores at 90 tons only, the rest possibly used in barter trade following sanctions. $3 billion in foreign exchange reserves. This is a large number as it is equal one-tenth of Iran's total oil revenues since the 1979 revolution. In October 2000, the parliament approved establishment of the Oil Stabilization Fund (OSF). Purpose: Part of the reserves are held in the $23.3 billion (2006) Oil Stabilization Fund, designed for capital investment or for budget support if oil prices - Iran's main foreign exchange earner – fall perilously low. Funding: Any budget surplus revenues from the sale of crude oil and gas is to be paid into the Oil Stabilization Fund (OSF). 80% of Iran's FOREX earnings comes from oil. A new fund will supplement the Oil Stabilization Fund in 2011 called the National Development Fund. Based on Article 84 of the Fifth Five-year Socio Economic Development Plan (2011-2015), the National Development Fund was established to transform oil and gas revenues to productive investment for future generation. The money will increasingly be deposited in domestic banks. Accordingly, 20% of oil income is to be transferred to the National Development Fund. The new fund is to extend 50% of its financial facilities to private, cooperative and non-governmental sectors and 20% to promote foreign investment. It is foreseen that the Development Fund will reach $30 billion by March 2012. Iran's balance of payment (2003-2007). Its capital account (both long and short term) has been decreasing during that same period. Iran's trade balance (2000-2007). For the first time, the value of Iran’s non-oil exports is expected to reach the value of imports by 2012. 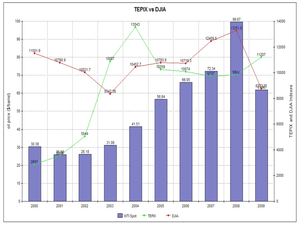 Iran's total debt service as percent of exports of goods services and income increased sixfold between 1990 and 1997. Iran's oil and gas projected revenues chart by the International Monetary Fund. On the other side, Iranian officials estimate that Iran's annual oil and gas revenues could reach $250 billion by 2015. Stock of Foreign direct investment. By 2009 Iran had invested $793 million abroad and received $7.854 billion at home. Iran's CPI, broad money & foreign exchange reserves (2000-2011). Governor Mahmoud Bahmani said Iran imported "hundreds of tons of gold" when its price was at an average of $656 per ounce. Unemployment rate, per-capita income growth and minimum wage in Iran (2000-2009). since the Revolution the government’s general budget payments have averaged 59 percent for social affairs, 17 percent for economic affairs, 15 percent for national defense, and 13 percent for general affairs. Less than a quarter of Iran's market liquidity is directed towards productivity. The rest is used in trade (e.g. import/export), speculative investments or simply deposited into bank accounts (hard currency). ^ Cite error: The named reference cia was invoked but never defined (see the help page). ^ Cite error: The named reference ReferenceB was invoked but never defined (see the help page). ^ Cite error: The named reference lcweb2 was invoked but never defined (see the help page). Double digit inflation rates have been a fact of life in Iran for the past 20 years. Between 2002 and 2006, the rate of inflation in Iran has been fluctuating between 12 and 16%. Monetary policy in Iran has not been successful in meeting the inflation and monetary targets set in the Iranian Five-Year Development Plans, owing mainly to the monetary impact of government spending out of oil revenue. Although the attainment of the inflation targets has improved somewhat recently, the objective of a gradual disinflation to single-digit levels has not been achieved. Moreover, the implicit intermediate target of monetary policy, money growth, has been systematically missed. The Central Bank is an extension of the Iranian government and as such it does not operate independently. Interest rate is usually set based on political priorities and not monetary targets. There is little alignment between fiscal and monetary policy. The Central Bank assesses the inflation rate with the use of the prices of 395 goods and services in Iran's urban areas. High levels of inflation have also been associated with a growth in Iran's money supply. The Central Bank's data suggest that the money supply growth has been about 40% annually. The rapid growth of money supply came from high demands for borrowing capital at the rate of 12% the banks offer, imposed by the Government to make credit accessible to average Iranians and small entrepreneurs. However, this rate is lower than the rate of inflation. This makes the cost of borrowing less than free market cost as determined by supply and demand, based on the inflation rate and investment risk. Banking profit rates - As of 2010, the interest rate charged between banks (i.e. interbank rate) is set by the government of Iran. Credit ceiling - the CBI can intervene in and supervise monetary and banking affairs through limiting banks, specifying the mechanisms for use of funds and determining the ceiling of loans and credits in each sector. Reserve requirement ratio - According to Article 14 of the Monetary and Banking Law of Iran, the CBI is authorized to determine reserve requirement ratio within 10 to 30 percent depending on banks’ liabilities’ composition and field of activity. CBI Participation Papers - The Central Bank must obtain approval from the Majlis in order to issue participation papers. Open deposit account (ODA): control liquidity through absorption of banks’ excess resources. The CBI pays "profit" to these deposits with the CBI on the basis of specific rules. Note: 1/ Includes some liabilities in foreign currency to residents. Iran is member of the Islamic Development Bank. As of August 2006, the World Bank has financed 48 development projects in the country for a total original commitment of US$3,413 million. World Bank loans to Iran come only from the International Bank for Reconstruction and Development (IBRD). Iran is a member of the World Bank's Multilateral Investment Guarantee Agency. Iran joined the International Monetary Fund (IMF) on December 29, 1945. CBI governors attend IMF's board discussions on Iran on behalf of the government. These meetings are usually held once a year in Washington, D.C.. The Central Bank of Iran has an observer status at the annual meetings of the Bank for International Settlements (BIS) in Basel, Switzerland. Iran's foreign debt: $22.07 billion in 2010 ($10.6 billion of short-term debts and $11.4 billion of mid-term and long-term debts). Iran's deposits in foreign banks: stand at $35 billion while its obligations amount to $25 billion (2007). In 2007, Iran had $62 billion worth of assets held abroad. According to the Bank for International Settlements, Iran's deposits with 39 world banks reached $15.44 billion at the end of March 2012 while its obligations stood at $10.088 billion. In addition it was reported that Iran had between 10-20 billion dollars held in foreign banks in 2011, allegedly because of payment problems by foreign companies to Iran. According to E.U. sources, despite the European sanctions, Iran has still "several billion euros" deposited in accounts in Germany, Italy, Malta, Spain, Greece and Switzerland (2012). As at 2013, only $30 billion to $50 billion of its foreign exchange reserves (i.e. roughly 50% of total) is accessible because of the international sanctions. It has been questioned by Iranian media why bank assets and foreign reserves weren't repatriated while new sanctions against Iran to freeze those same funds were being discussed publicly abroad. Transactions: Foreign transactions with Iran amounted to $150 billion between 2000 and 2007 worth of major contracts and both private and government lines of credit. According to the Bank for International Settlements (BIS), the balance of Iran’s foreign exchange interactions in foreign banks and financial institutes during Q3 2008 stood above $24.3 billion. The US Treasury Department has also stepped up its attempt to restrict financing of foreign investment and trade with Iran. In January 2006, Swiss banks UBS and Credit Suisse announced separately that they were halting operations in Iran. In September 2006 the Treasury Department banned all dealings by Bank Saderat Iran with the US financial system, and in January 2007 it also blacklisted Bank Sepah and its British subsidiary, Bank Sepah International. In October 2007 the US Treasury blacklisted Bank Melli and Bank Mellat. Under pressure from the US, 12 Chinese banks have reduced ties with Iranian banks since early September 2007, but five of them resumed commercial ties in mid-January 2008. In mid-February 2008, the US Treasury alleged that Iran's Central Bank helped the blacklisted banks evade US sanctions, by conducting transactions for them. The Central Bank possesses limited foreign cash reserves due to the international sanctions and problems in the transfer of funds in and out of country. In 2012, The U.S. unilaterally expanded sanctions, which cut off from the US financial system foreign firms that do business with the central bank. Iran is reportedly making increasing use of barter trade, cash smuggling, gold and local currencies of its trading partners to circumvent the international sanctions. The CBI has been blacklisted by the U.S. government due to the bank's involvement in the Iranian nuclear program and it has been blocked from using SWIFT since March 2012 as a consequence. The Central Bank of Iran publishes a variety of periodicals for general and specialist audiences including Economic Trends, Bulletin, Annual Review, Economic Report and Balance Sheet. Other publications include booklets, monographs and brochures. Many of those documents are also available in English. 1 2 "History of Banking in Iran". Parstimes.com. Retrieved 2012-01-08. ↑ "About the Central Bank of Iran". The Central Bank of the Islamic Republic of Iran. 1 2 "Monetary and Banking Law of Iran". Central Bank of the Islamic Republic of Iran. ↑ "Iran Today-Iran's Banking System-12-14-2010-(Part1)". YouTube. Retrieved 2012-01-08. ↑ "No Operation". Presstv.com. Retrieved 2012-01-08. 1 2 "Iran's Central Bank Lacks Independence, Parliament Study Says". Businessweek. Retrieved 2012-01-08. ↑ "Iran's Central Bank Lacks Independence, Parliament Study Says". Bloomberg. 2010-07-02. ↑ "Iran's Central Banker Threatens To Quit In Protest". Payvand.com. Retrieved 2012-01-08. 1 2 "No. 3854 | Domestic Economy | Page 4". Irandaily. Retrieved 2012-01-08. ↑ "Press TV". Press TV. 2010-12-14. Retrieved 2012-01-09. ↑ "Governors". Cbi.ir. 2011-09-19. Retrieved 2012-01-09. ↑ "Iran's interest-free banking law". Central Bank of Iran. ↑ "Iran, biggest Shariah-compliant market: The Banker". Payvand.com. Retrieved 2012-01-08. ↑ "Iran 2nd in Islamic Banking Assets". Zawya. 2009-12-11. Retrieved 2012-01-08. ↑ Fitch, Asa; Nicolas Parasie (April 6, 2015). "Western Companies See Potential in Reaching Iran's Consumers After Nuclear Deal". Wall Street Journal. Retrieved September 21, 2015. ↑ Registration of Companies. OIETA. Retrieved March 16, 2014. ↑ "J. Nouraei & M. Mostafavi Law Office". Nourlaw.com. Retrieved 2012-01-08. ↑ "Iranians Lose Faith in Cheques: More and more cheques bounce as economy struggles". Payvand.com. Retrieved 2012-01-08. ↑ "VISA and MasterCard usage possible in Iran". Payvand.com. Retrieved 2012-01-08. ↑ Fitch, Asa; Parasie, Nicolas (2015-04-06). "Western Companies See Potential in Reaching Iran's Consumers After Nuclear Deal". The Wall Street Journal. 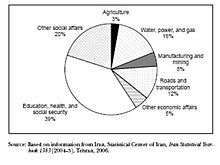 1 2 "Iran's Economy" (PDF). Retrieved 2012-01-08. ↑ "Iran's Stats Center Takes Over Reporting Of Economic Indicators". Payvand.com. Retrieved 2012-01-08. ↑ "AFP: Iran five-year plan targets annual 8% growth". France24.com. 2010-01-11. Retrieved 2012-01-09. 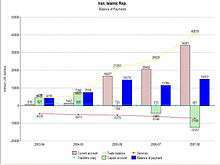 1 2 Research and Markets ltd. "Iran Commercial Banking Report Q1 2009". Researchandmarkets.com. Retrieved 2012-01-09. ↑ "Iran's Economy To Grow 3.1% This Year: Economist". Payvand.com. Retrieved 2012-01-08. ↑ "The Longest Iranian Economic Recession: Interview with Saeed Laylaz, an economics expert". Payvand.com. Retrieved 2012-01-08. ↑ Fassihi, Farnaz (12 October 2010). "Iran's Economy Feels Sting of Sanctions". The Wall Street Journal. ↑ AFP: Iran five-year plan targets annual 8% growth. Retrieved July 23, 2010. ↑ "Iran's GDP to grow by $55.5B: The Economist". Payvand.com. Retrieved 2012-01-08. ↑ "Iran's GDP at $411B; up $44B: Economist". Payvand.com. Retrieved 2012-01-08. 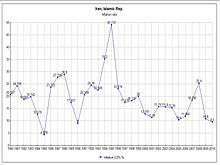 1 2 "Iran Inflation Rate". index Mondi. ↑ "Iran's inflation rate 21%, liquidity $174b, Central Bank says". Payvand.com. Retrieved 2012-01-09. ↑ "Central Intelligence Agency". Cia.gov. Retrieved 2012-01-08. ↑ Economist.com|Country Briefings: Iran Archived April 11, 2008, at the Wayback Machine. 1 2 "No Operation". Presstv.com. Archived from the original on 2011-04-06. Retrieved 2012-01-08. ↑ "CIA - The World Factbook". Cia.gov. Archived from the original on 2012-01-08. Retrieved 2012-01-08. ↑ "Iranian Currency Exchange Rate - Money Exchange in US, Europe & Canada - Iranian Currency Exchange Rate History, Iran Currency System, Iranian Currency History". Farsinet.com. Retrieved 2012-01-09. ↑ "Dollar, a "Worthless Piece of Paper" Appreciated Again by Iran: 22 Percent Loss for Dumping the Dollar". Payvand.com. 2010-05-31. Retrieved 2012-01-08. ↑ "InfoViewer: Iran's banks struggle with credit shortages". Us.ft.com. 2003-08-28. Retrieved 2012-01-08. ↑ "Resources - Economic Indicators". Atieh Bahar. 2008-10-20. Retrieved 2012-01-09. ↑ "Iran's forex reserve at $100b: central bank". tehran times. Retrieved 2012-01-09. ↑ Speculations, Great. "How Gold Helped Iran Withstand U.S. Financial Fury". Forbes. ↑ "Iran: Fate of $66 Billion in Oil Revenues Unknown". Payvand.com. Retrieved 2012-01-09. ↑ "Iran's massive oil revenue discrepancies". UPI.com. Retrieved 2012-01-09. ↑ "The Rise of the Pasdaran: Assessing the Domestic Roles of Iran's Islamic Revolutionary Guards Corps" (PDF). Retrieved 2012-01-09. ↑ "Iran's NDF allocates $3.8b to private sector". Tehran Times. Retrieved 2012-01-09. ↑ "Iran to invest in industry, agriculture". PressTV. 2011-03-07. Retrieved 2012-01-09. ↑ "Money and Inflation in the Islamic Republic of Iran" (PDF). IMF. ↑ "Iranian Banks Under Sanctions: Government Looking Towards Foreign Banks". Payvand.com. Retrieved 2012-02-08. ↑ "World bank report on Iran". Web.worldbank.org. Retrieved 2012-01-09. ↑ "Iran's Third Development Plan: an Appraisal - Science News". redOrbit. 2005-10-03. Retrieved 2012-01-09. ↑ "Iran's Financial Position at IMF". IMF. ↑ "Iran and IMF|International Monetary Fund". ↑ "Iran's foreign debt reach $22m". tehran times. Retrieved 2012-01-09. ↑ "Iran's foreign assets surpass $62b". Mehrnews.ir. Retrieved 2012-01-09. ↑ "Seoul, Ankara seeking U.S. waiver on Iran oil". Tehran Times. Retrieved 2012-01-09. ↑ "Fars News Agency :: India Studying Oil Payments to Iran via Russia". English.farsnews.com. 2011-12-15. Retrieved 2012-01-09. ↑ "Global Investment in Iran". AEI. 2007-05-09. Retrieved 2012-01-09. ↑ "Iran President Ahmadinejad condemns US banking sanctions". BBC News. 2012-01-01. ↑ "Iran's banks to be blocked from global banking system". BBC News. 2012-03-15. ↑ "Central Bank of Iran". Central Bank of Islamic Republic of Iran. ↑ "Jewelry Museum". All Iranian Museums.